The 7th edition of Vinitaly Hong Kong put wine education as the main focus of the promotional activities during the Hong Kong Wine and Spirits Fair. Ian D’Agata, Scientific Director of Vinitaly International Academy, in fact, conducted a number of Vinitaly International Academy (VIA) Executive Wine Seminars as well as other educational tastings, while wine2wine Asia provided educational and networking opportunities for exhibitors. VIA students living in Asia came to Hong Kong prepared to sustain their final oral exam administered by Ian D’Agata. Two VIA students, Jinglin Zhang (Beijing) and Wai Xin Chan (Singapore) were named Italian Wine Experts, while Shirley Tan (Shanghai) achieved level two Italian Wine Ambassador. Jinglin Zhang, left North Eastern China for studies in France. She holds a bachelor’s degree in International Business and went on to obtain a master degree in Marketing. She holds a WSET level 4 diploma, currently works at Berry Bros & Rudd in London and recently launched a new blog, “When Bach Meets Barolo”. She has a passion for wines from smaller producers, and hopes to start an export business with e-commerce distribution back home in China. Shirley Tan got her start in the wine business as a sales manager with Veuve Clicquot China. 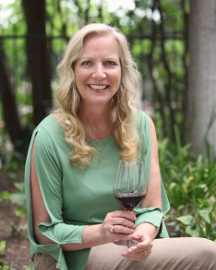 After six years with the LVMH group, she went on to launch a successful Wine import and distribution company, East Meets West Fine Wines (EMW) in 2003. After 10 years of rapid expansion, she relinquished her stakes in the company to found the China Knot Consulting firm. 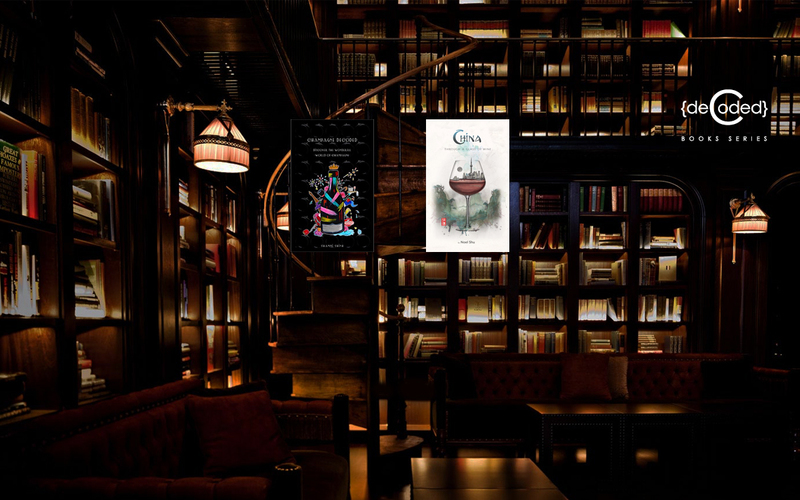 China Knot has worked with various wine organizations and businesses, including Istituto Grandi Marchi, Decanter, Gaja, Pio Cesare and more. The third and final day of Vinitaly Hong Kong opened with the last session of wine2wine Asia, the educational business forum dedicated to exhibitors and visiting wine industry professionals. Debra Meiburg MW moderated “ABC to wine trade in China” with Jonathan Mather, Hong Kong based ASC Fine Wines Import, Giulia Chen Federexport, Alan Hung Executive Director PACCO and Chengdu Shangri La organizer, Shirley Tan China Knot Ltd., Fabio Piccoli Wine Meridian. JC Viens, founder of Grande Passione and a VIA Italian Wine Ambassador, ran the third day of back-to-back wine tastings with hardly a seat empty. True to the name of his company, he brought “grande passione” to each session, with an approach to wine that offers technical “pro” insight while at the same time, involving the audience with story telling, colourful anecdotes, and folklore. Made-in-Italy was also the protagonist of the Vinitaly Lounge where attendees were able to taste some typical Italian food thanks to the collaboration with TUTTOFOOD Milano World Food Exhibition with whom Vinitaly International will be carrying out a number of initiatives in 2017. Veronafiere is the leading organizer of trade shows in Italy including Vinitaly (http://www.vinitaly.com), the largest wine and spirits fair in the world. During its 49th edition, Vinitaly counted some 4,000 exhibitors on a 100,000 square meter area and 150,000 visitors including 2,600 journalists from 46 different countries. The next edition of the fair will take place on 10 – 13 April 2016. The premier event to Vinitaly, OperaWine (http://www.vinitalyinternational.com) “Finest Italian Wines: 100 Great Producers,” will unite international wine professionals on April 9th in the heart of Verona, offering them the unique opportunity to discover and taste the wines of the 100 Best Italian Producers, as selected by Wine Spectator. Since 1998, Vinitaly International has traveled to several countries such as Russia, China, USA and Hong Kong thanks to its strategic arm abroad, Vinitaly International. 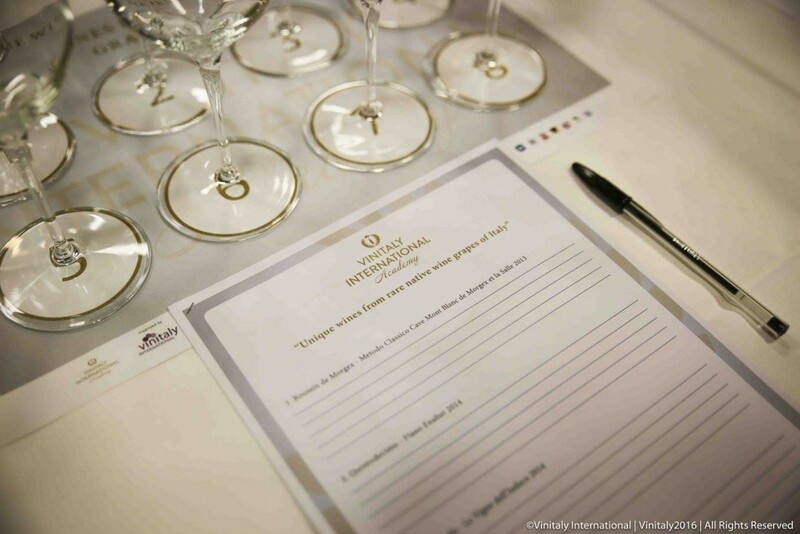 In February 2014, Vinitaly International launched an educational project, the Vinitaly International Academy (VIA), with the aim of divulging and broadcasting the excellence and diversity of Italian wine around the globe. VIA has now also organized its very first Certification Course with the aim of creating new Ambassadors of Italian Wine in the World. 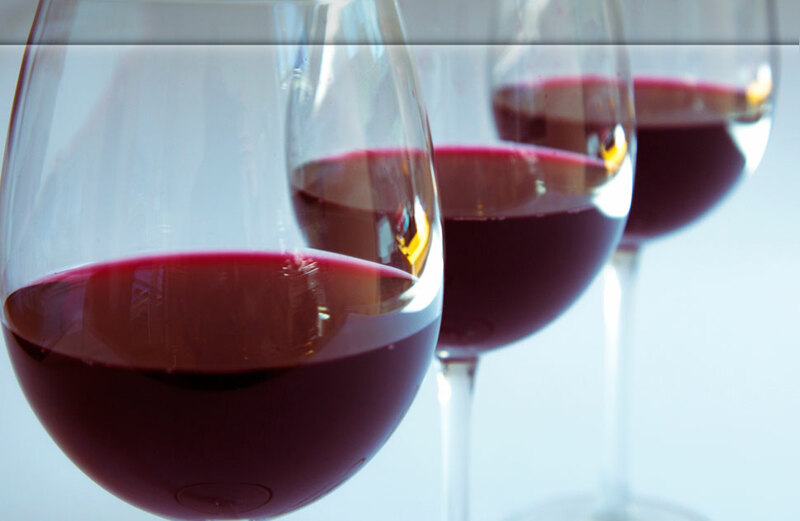 The San Francisco International Wine Competition has been around since 1980, so they must be doing something right. Headed by James Beard Award winner Anthony Dias Blue and judged by somewhat of a Who’s Who of the wine world elite, this year’s event took place at Hotel Nikko in June. Cass Winery – 2014 Viognier, Paso Robles, USA. ($24) Karen enjoyed the long smooth finish of this one. Cholame Vineyard – 2012 Chardonnay, Santa Barbara, USA ($32) This had a good mouthfeel, according to Karen. TAO Vineyards – 2013 Cabernet Sauvignon, Los Angeles, USA ($28) TAO, based in the Agoura Hills, was the surprise of the show for me. I’m looking forward to tasting their entire lineup. Las Positas Vineyards – 2012 Cabernet Sauvignon, Estate, Reserve, Livermore Valley, USA ($65) Wines like this one are really improving the reputation of the Livermore Valley. Vasco Urbano Wine Company – 2013 Grenache, Norm, Marina Ranch, Livermore Valley, USA ($42) Another excellent Livermore winery, part of the Nottingham Cellars group which I enjoyed at the Family Winemakers event awhile back. LANGETWINS Winery – 2011 Premium Bordeaux Blend, Midnight Reserve, Lodi, USA ($30) I normally think of Zinfandel when I think of Lodi, but this blend of Cabernet, Petit Verdot, Malbec and Merlot was excellent. Cameron Hughes – 2012 Red Blend, Lot 447, Lake County, USA ($13) Negociant Cameron Hughes has a reputation for releasing tasty wines at good prices, but this blend of Zinfandel, Petite Sirah and Syrah is an absolute steal. Canihan Family Cellars – 2011 Syrah, Exuberance, Canihan Estate Vineyard, Sonoma County, USA ($49) This cool climate Syrah was the star of the tasting for me. A great example of what a Syrah is supposed to taste like. Even though we were there primarily to report on the wine, we couldn’t leave without trying at least one spirit, the baijiu from Shui Jing Fang, a clear spirit from China. We enjoyed both the taste and the 600+ year history of the distillery. Thanks to Ocean Prime for hosting and providing the noshes of tuna tartar, shrimp cocktail and braised short ribs. You can check out all the winners on the website. The big takeaway for me, in spite of my favorite wine being from Sonoma, was the number of winners from less recognized areas like Livermore and, of all places, Agoura Hills. Time to get out of your comfort zone and explore. Business and pleasure are set to collide this summer as a British based destination management company launches its bespoke vineyard networking tours. Held in the world famous wine producing regions of France and Italy, the innovative concept from French Art de Vivre is a revolution for the tourism industry. Curated for start-ups in the search of investors, the networking tours are designed to help hosts secure funding in an environment thats stylish and relaxed, yet entirely professional. Whether start-up owners are looking to entice private equity holders, venture capital investors or business angels, the vineyard networking tours are the perfect way to whet the palates of financiers. Each tour lasts for four days and three nights. Packages include accommodation in a five star hotel, Michelin starred gastronomic meals, luxury chauffeured cars, leisurely tours of the chateaux and estate, private tastings and personal wine workshops. While the concept of wining and dining investors is not new, French Art de Vivre elevates the idea to an entirely different level. Rather than attempt to sign on investors during a rushed fundraising event, hasty lunch or stiff collared business meeting, French Art de Vivre offers start-ups the opportunity to spend quality time with potential financiers. This eliminates the risk of missing real opportunities due time constraints and allows hosts to build strong relationships, explore project details and ultimately, secure investment. As well as providing the surrounds for an utterly unique business meeting French Art de Vivre also sources investors from across the globe, with the US, UK, Brazil, Russia, France and China all represented. For start-ups, the tours are a lucrative opportunity to access investors, raise funds, develop an international brand presence, seek advice from industry gurus and develop partnerships with fellow up-and-coming enterprises. For investors, tours afford exclusive access to promising start-ups, the opportunity to discover the latest concepts and innovations, gain worldwide exposure and create profitable business partnerships. Groups are always kept small, with a maximum of 40 attendees to ensure intimacy and sociability. Start-ups interested in taking part in a French Art de Vivre vineyard networking tour are invited to send a presentation of their company for review. Applications will then be evaluated to ensure start-ups are matched with the most suitable investors. The next tour will take place in Bordeaux, 22 – 25 September 2015. It will be followed by tours in Champagne, Burgundy and Tuscany. To find out more about French Art de Vivre and the vineyard networking tours, go to: http://manafmarouane.gr8.com or visit: http://www.french-artdevivre.com/ for further travel opportunities. Founded by Manaf Marouane, French Art De Vivre is a high end destination management company specialising in luxury getaways across the globe. The pair cherry picks each and every supplier to ensure clients are offered unforgettable experiences. 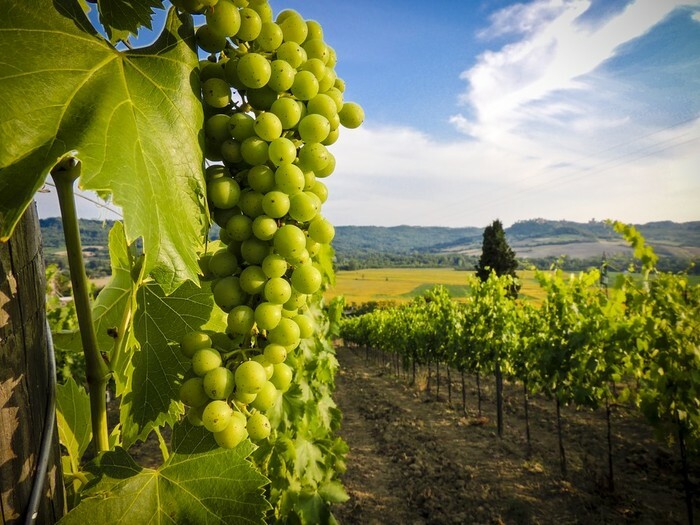 The group has just unveiled its vineyard networking tours which allow start-ups to connect with investors while soaking up the beautiful surrounds of French and Italian wineries. The packages are all-inclusive and include five star accommodation, gourmet meals, private tours, personal tastings and more. NEW YORK – Feb. 2015 – With global consumption of wine on the rise, the U.S. is driving growth as the world’s largest wine market. This is among the key findings of an IWSR survey commissioned by Vinexpo, the world’s leading show for wine and spirits professionals. IWSR is an authoritative source of analysis on the alcoholic beverage market, and its annual study for Vinexpo is unique in its inclusion of a five-year forecast of global market changes. Consuming 312.5 million cases in 2013, the U.S. was the only market among the top 10 wine-drinking countries to show growth over the previous year. While the increase was lower than in preceding years, totaling five million more cases, its overall value was sustained by a shift in demand towards the higher end of the market. Between 2009 and 2013, global wine consumption increased by 2.7% to reach a total of 2.648 billion nine-liter cases, the equivalent to more than 31.7 billion bottles. IWSR predicts that growth will accelerate by another 1% between 2014 and 2018 to reach 2.732 billion nine-liter cases (32.78 billion bottles). As Champagne consumption dips, other sparkling wines drive growth: In 2013, sparkling wines (excluding champagne) accounted for 8% of the world’s wine consumption – a figure that is expected to rise to 8.9% by 2018. Between 2009 and 2013, U.S. consumption of sparkling wines grew by 23%, and this should increase by another 15% between 2014 and 2018. Cava sales, spurred by growth in imports to Belgium, Nigeria and France, escalated by more than 100,000 cases in 2013. Prosecco exports doubled; in the U.K. alone, sales increased by more than one million cases. Meanwhile, Champagne consumption fell by 1.4% globally in 2013, due primarily to shrinking demand in France, the U.K. and the U.S. Sales are rising, however, in several key countries, including Australia and Japan. Red wine continues to dominate: Red wine represented 54.8% of all still wine consumed in 2013, even as reduced demand, primarily in China, drove worldwide consumption down by 19.8 million cases. 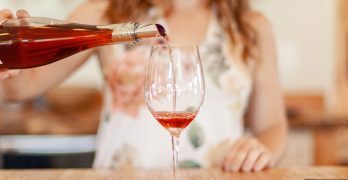 Rosé holds steady: Rosé is the wine category least affected by the 2013 slump in demand, with 2013 global sales at 219.1 million cases compared to 219.7 in 2012. Sales are thriving in the three primary rosé consumer markets: France, the U.K. and the U.S. Import sales are robust: More than a quarter (29.5%) of all wine bottles consumed in 2013 were imported — a total of 720 million cases. Imported wines are expected to grow by another 6.1% by 2018, outpacing a predicted 3.5% increase in overall wine sales. Italy and Australia are the most important suppliers of imported wines to the U.S. market, with France in third place but on the rise as maturing American wine consumers are drawn to what is widely seen as the home of fine wine. Spirits are rising, with Asia-Pacific the world’s top consumer: Global spirits consumption reached 3.069 million nine-liter cases in 2013, an increase of 19.1% from 2009. This growth is expected to continue at a 3% rate, reaching 3.18 million cases by 2018. Asia-Pacific accounts for 63% of the world’s total spirits consumption. Whiskies and bourbons are back in vogue: Whisky and bourbon sales are projected to rise 8.8% and 19.3% respectively over the next five years. Russia, Brazil, Mexico, India and Poland are driving this rise, adding more than a million cases to their total consumption between 2009 and 2013. Vodka consumption levels out: Although vodka holds its position as the leading “international” spirit (the #1 spirit, Baiju, is consumed mainly in China), demand is stabilizing. The current 492.7 million cases represent a rise of .5% since 2009, and IWSR research reveals that the tax increase imposed in Russia has significantly slowed growth in that country, turning young consumers to trendier alcoholic beverages. Cognac and Armagnac find new markets: Cognac and Armagnac sales rocketed by 19% between 2009 and 2012, with demand flourishing in Asian markets. While 2013 growth in the region has been curtailed by the Chinese government’s anti-corruption legislation, five-year forecasts remain positive (+3.5%). Healthy sales are particularly expected in America, the biggest market for cognac exports. For the 13th year running, Vinexpo has commissioned an annual study from market intelligence provider International Wine and Spirit Research (IWSR) that has become a standard reference for professionals in the sector. This in-depth analysis of global consumption, production and international trade in wines and spirits covers the industry over a 10-year span, tracking developments since 2008 and forecasting changes through 2018. The survey covers 28 producing countries and 114 consumer markets. Established in 1971, the IWSR database is the broadest, most accurate, and most detailed source of information on the worldwide alcoholic beverages market. The high quality of the survey is proven year after year, as comparison of projected and actual consumption figures display a consistently low margin of error of 2%. The latest report is the most accurate yet, thanks to additional sub-sectors not previously covered in IWSR’s field work and analysis. Founded in 1981, Vinexpo has evolved into the world’s leading show for wine and spirits professionals and a partner for the wine and spirits industry worldwide. Vinexpo is held in Bordeaux in odd-numbered years; since 2006, Vinexpo Asia-Pacific has taken place in Hong Kong in even-numbered years and has become the key exhibition of the industry in Asia. Before each exhibition, Vinexpo commissions studies on industry-specific issues and presents the findings in conferences around the world. Since 1999, it has produced a world market study with a five-year outlook, as well as a variety of trend reports. For more information, visit www.vinexpo.com. 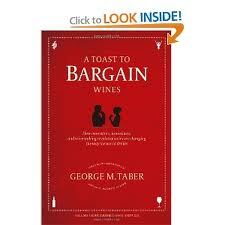 George M. Taber, made famous in the wine world for writing about how Napa winemaking beat out France in the infamous Judgment of Paris tasting, has a new offering, it would seem, for those of us thwarted in our wine buying by the current economic woes felt nationwide, in his book A Toast to Bargain Wines. Glen Ellen, which happened to be my wedding wine in 1986, was one of the first wineries to list the grape variety name on the label (ours was the Chardonnay) and is credited, among a few other wines in the 80s, when diners stopped ordering a glass of white wine and began to ask for a glass of Chardonnay. And a few interesting words about wine judging. 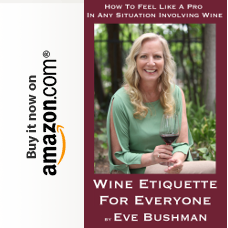 : Taber writes that a study by the Journal of Wine Economics showed that out of over 2400 wines entered in more than three wine judging contests, 47 percent received gold medals – but 84 percent of those never received another award in any other contest. Several conclusions were drawn, but, of note for me as a wannabe judge: the contrast by the Lodi International Wine Awards – where judges are given more time to evaluate each wine and are not allowed to speak to others. I mentioned the [yellow tail] brand earlier. A lot of money has been made on inexpensive wines produced in bulk. I’m happy about that as I want my industry to continue to flourish. Taber spends quite a bit of time on our Aussie neighbors and their inexpensive results in winemaking. In my humble opinion, inexpensive wines from many new world areas besides Australia like Chile, Argentina and Spain can be just as worthwhile. Sometimes wine prices reflect more the price of real estate than it does good tasting wine, like Napa prices verses Paso Robles. China has become the 6th largest wine producer – though most is not exported YET, give them time Taber basically says – and the 5th largest consumer. I want a road trip. The last 100 pages or so of the book is dedicated to a break down, per grape variety, of Taber’s top bargain wines. His blind tasting system, and dedication to the task ( twice weekly blind tastings, overseen by his wife) produced lists that were not wholly unexpected…and helpful to a grocery list shopper as most can be found on the wine shelves in the local supermarket, with additional nods to “splurge” wines much in the same way Natalie MacLean recently listed hers in the last book I reviewed, Unquenchable, A Tipsy Quest for the World’s Best Bargain Wines. His ending section, on specific wineries by area to try, was a nice education for the novice or aficionado, as everyone can always find something new to drink when they are open to learning.